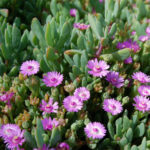 Oscularia caulescens is a succulent groundcover with blue-gray foliage that reaches up to 1 foot (30 cm) tall and spreads up to 3 feet (90 cm) wide. 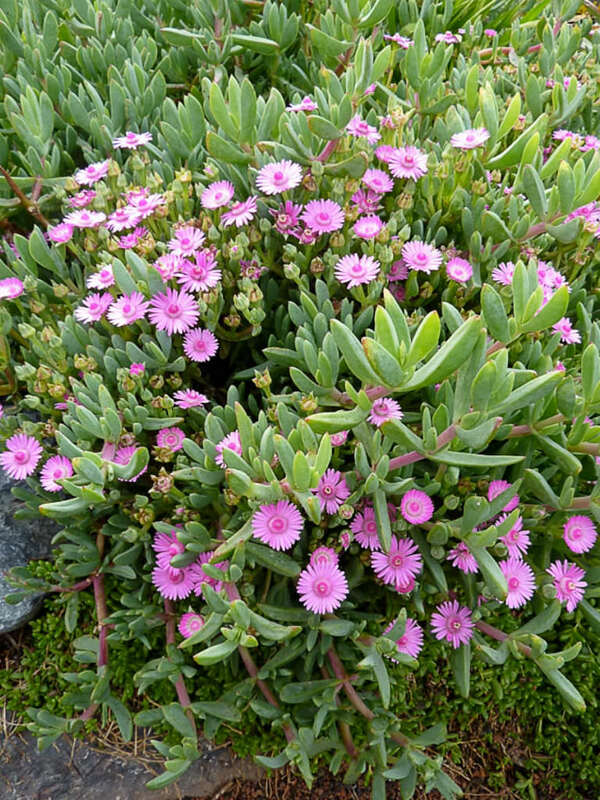 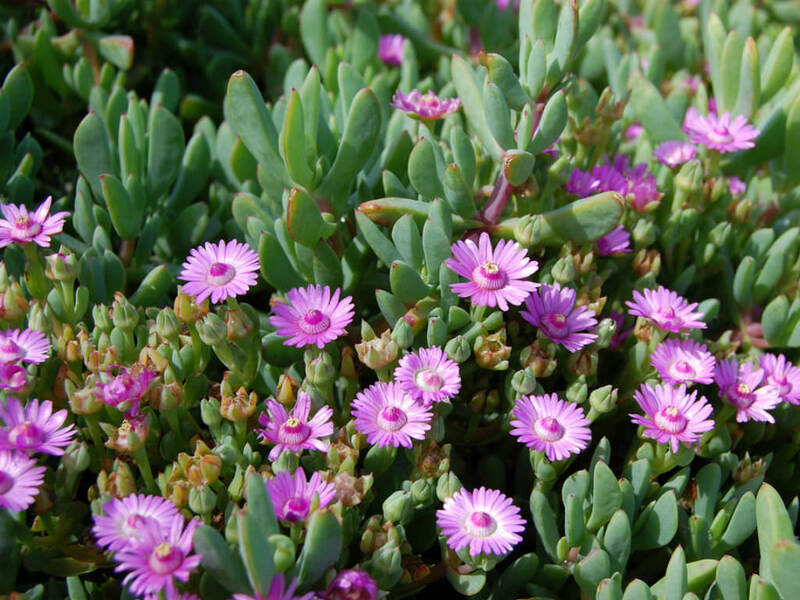 It has wiry dark pink stems and blue-green, 3-angled, fleshy leaves. 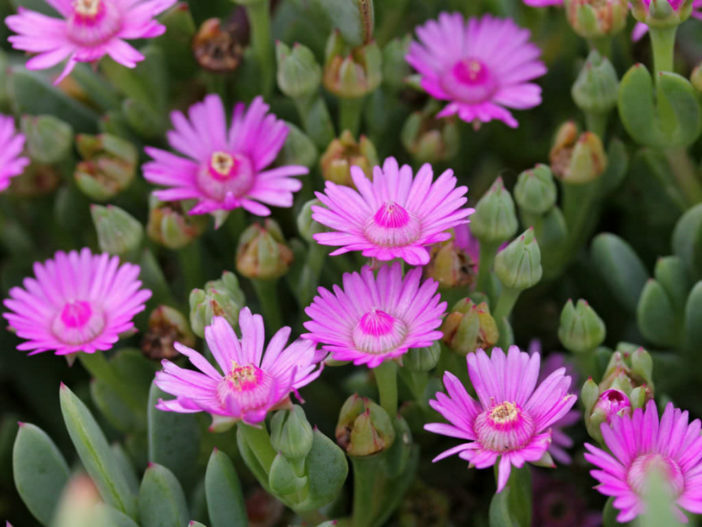 In spring into mid-summer appear the bright pink, pinwheel-shaped, up to 1.2 inch (3 cm) wide flowers that open fully as afternoon approaches. 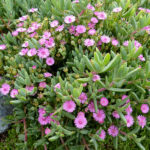 They are pleasantly scented with the stamens white at the base and pink near the tips, arranged upright in a cone-like formation in the flower center. 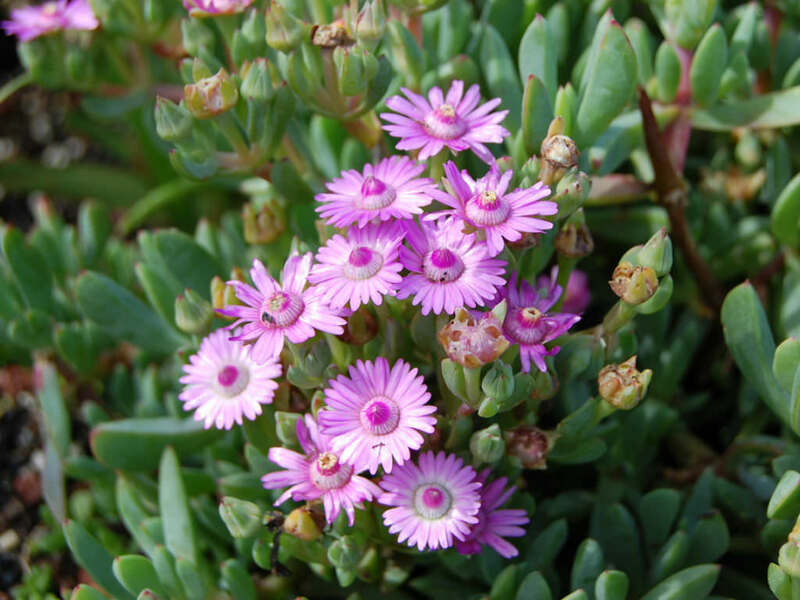 USDA hardiness zones 8b to 11b: from 15 °F (−9.4 °C) to 50 °F (+10 °C). 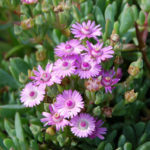 Oscularia caulescens is native to South Africa (Western Cape).